We are not exactly sure how divine intervention will help us in the fight against rampant corruption in Kenya but the Ethics and Anti-Corruption Commission is convinced we need it. 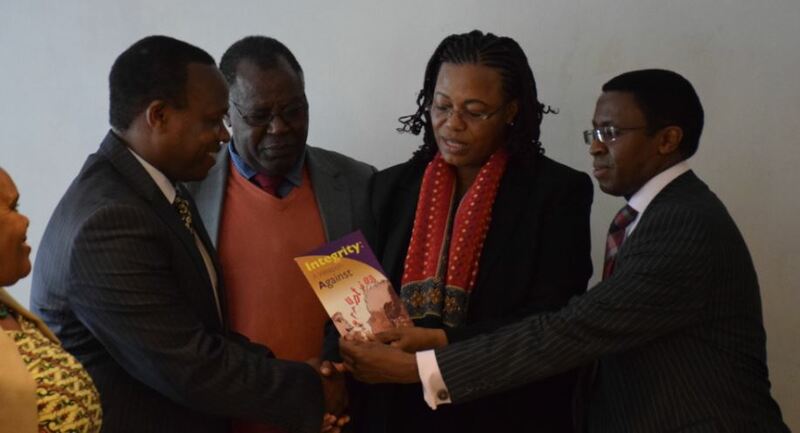 The anti-graft agency, together with the Inter-Religious Sector, has launched a Bible Study Guide titled ‘Integrity: A Weapon Against Corruption’. The study guide was launched on Wednesday in an event graced by EACC Commissioner Rose M. Macharia and EACC Deputy CEO Mr. Michael Mubea. EACC further said the fight against corruption can be won if everyone is committed to a virtuous lifestyle. “The fight against corruption is winnable but everyone must commit to live a life that enhances the virtues of integrity, justice, patriotism and love for one another,” the Ethics and Anti-Corruption Commission said on Twitter. As expected, the move has not been received well by a majority of Kenyans on Twitter who claim the Bible Study Guide is not a feasible or tangible enough method to impact any meaningful change in the tough war on corruption. Dumbassery… when has religion ever been a solution for anything in this world? Dark days are here indeed! Hahaha now this 🤦‍♂️praying away corruption. While you are at it, go slap uhuruto with a bible, maybe miracles will happen? Wankers! What nonsense . Do your job and keep religion out of this . We tried religion for years it didn’t work . Now either do your job or stay out of the way and let DPP Haji and his team do theirs . Ruaraka CDF bought and installed 50 units of COi3 HP Desktop computers at a cost of Ksh. 5 million. Yaani 100k per unit. Kenya is an amazing country I tell you. Which study guide will be used by Hindus, Muslims, budhhis or pagans? What does @EACCKenya understand about the separation of church and State? About 70% of Swedish citizens are irreligious but it is ranked among the top ten least corrupt countries in the world.Think about that. Somebody remove that Bishop as EACC head, he is just complicating things.